In a trial that whistleblower advocates have called “damage control” for the CIA, federal prosecutors are pursuing espionage charges against whistleblower Jeffrey Sterling. The case stems from the agency’s attempts to feed Iran flawed nuclear schematics. Sterling’s trial has come to symbolize proxy fights over whistleblower rights, freedom of the press, and the CIA’s behavior across the globe. High-profile witnesses such as former Secretary of State Condoleezza Rice have taken the stand to defend the CIA’s power in the face of criticism and revelations featured in New York Times journalist James Risen’s 2006 book, State of War. “A lot of it is an effort by the US government, through the prosecution, to make the case that the CIA doesn't make mistakes, that it had a superb operation called Operation Merlin, and that James Risen's book unfairly tarred the reputation of the CIA,” Norman Solomon, who is covering the case for the Institute for Public Accuracy, told RT. RT correspondent Manuel Rapalo, who is reporting from the trial, said Wednesday’s proceedings were over quickly, with closing statements set for 10am Thursday. “The defense’s case was very short, reiterating their point that no evidence exists that supports the prosecutors’ claims that Jeffery Sterling leaked the classified information that made it to James Risen’s book ‘State of War,’” he said. Sterling is a former CIA case officer for human asset “Merlin,” a Russian scientist who delivered deliberately inaccurate designs for a nuclear weapon component to an Iranian government office in Vienna in 2000, in the hope of of disrupting any budding nuclear weapons program in Tehran. One of the few African-American case agents at the CIA, Sterling eventually levied a racial bias complaint against the agency. He also found himself embroiled in a dispute with the CIA’s Publication Review Board over a draft of a book Sterling submitted to the board, which reviews such materials for classified information. The board’s review process took four months – far longer than usual– allegedly frustrating Sterling. He left the agency in 2002. 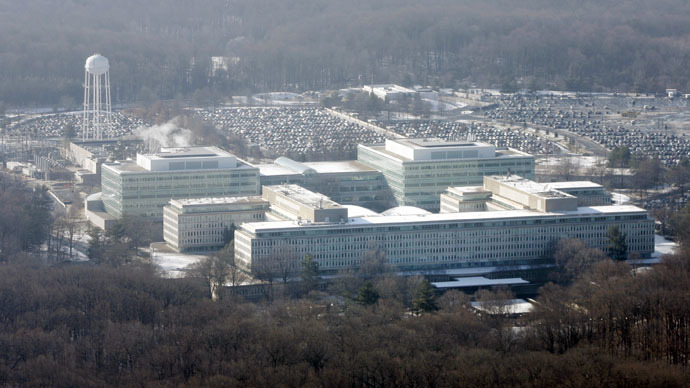 In 2003, Sterling met with staff members of the US House and Senate Intelligence Committees to voice objections over the risks of the CIA’s Operation Merlin. Those staffers told prosecutors this week during Sterling’s trial that they were not the source of information on Merlin that ended up in State of War. The US government has long sought testimony from Risen in hopes of having the writer confirm that Sterling unlawfully disclosed classified intelligence about the Iranian nuclear program and Operation Merlin. Yet just before Sterling’s trial began last week, US prosecutors said they wouldn't call Risen to the stand. The implications of insisting that Risen expose his source have long been the focus of the Sterling saga for those concerned with press freedom. Yet now that Risen seems off the hook, advocates for whistleblower integrity and CIA accountability are rallying to Sterling’s side. Sterling’s defenders say he went through the proper channels to flag what he believed to be a risky program aimed at Iran’s nuclear advances. “A lot of this prosecution, I believe, and I’ve been in the courtroom every day now, is about damage control for the image of the CIA, and trying to put a halo on the CIA operation worldwide, and put, sort of, devils horns on Jeffrey Sterling as some sort of villain who allegedly spilled the classified beans," Solomon told RT. Thus far in the trial, the prosecution has attempted to attack Sterling’s credibility while hailing the CIA’s competency and integrity. David Cohen -- the former director of the CIA’s New York office, where Sterling worked -- testified, according to Courthouse News, that he removed Sterling from his assignment because he “was not performing consistent with the expectations of a person of his background and his grade.” Yet the next-highest-ranking officer, Charles Seidel, testified to the contrary. "I don't recall hearing any criticism of his handling of that operation," Seidel said. The prosecution also questioned the agent dubbed Merlin about Sterling’s capabilities. "The other people were much friendlier and much smarter than Mr. Sterling," said Merlin, who testified via video link due to poor health. Merlin also, according to Solomon, waffled when asked by the prosecution what should have been a simple question, whether or not he had complete confidence in the operation during its execution. “All this is potentially important to the case, since the government is asserting that Risen's book is inaccurate -- that Operation Merlin was actually near flawless and that Sterling invented concerns and a narrative that unfairly characterized it,” Solomon wrote regarding Merlin’s apparent wavering. Thus far this week, the trial has heard testimony from the hairdresser for the FBI officer who had investigated the case. She confirmed she had read State of War, an apparent ploy by the prosecution to ensure the trial’s venue stays in the CIA’s home turf in eastern Virginia. Also on Tuesday, the prosecution gave jurors classified documents that were seized from Sterling’s house in Missouri in 2006. The documents, from the late 1980s, “explained how to use rotary phones when a CIA officer is out of the office,” Wheeler reported. “In other words, they’ve submitted these documents Sterling obviously got in the very early days of his CIA career to ‘prove’ that he also had snuck a letter on the Merlin program out of the CIA in 2000 (after which point he lost access to classified information) and sat on it until 2003, when he allegedly shared it with Risen,” she added. Late last week, an agency manager admitted during the trial that more than 90 people in the government knew about a covert CIA mission aimed at slowing down Iran’s nuclear program. Also last week, the prosecution also called former Secretary of State Condoleezza Rice to the stand. During her testimony, Rice acknowledged that in her role as national security adviser, under orders from then-President George W. Bush, she asked the New York Times not to publish a story Risen was working on regarding the Merlin. "It was one of the only levers that we believed we had — that the president had — to try to disrupt the Iranian nuclear program,” she said, as quoted by Politico. Rice also requested that the Times get rid of any evidence it had of the program.